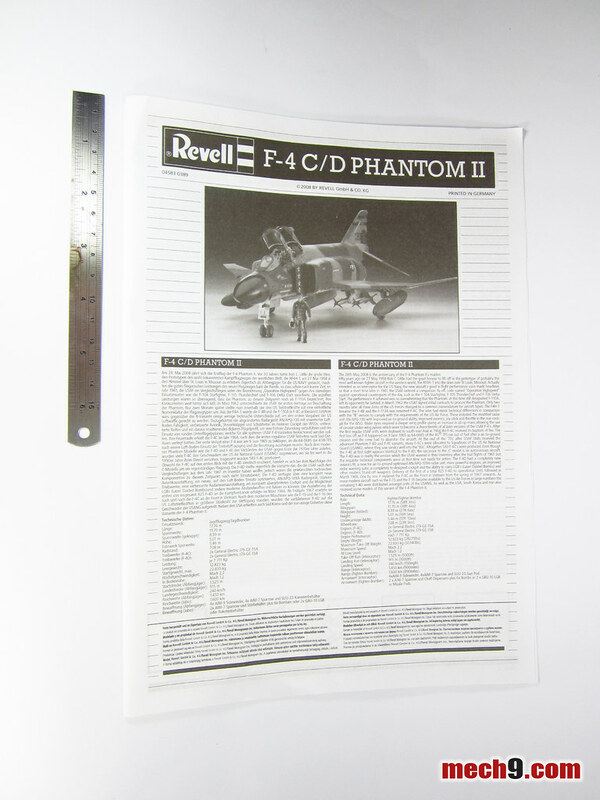 Got this from HobbyLink Japan last month, the Revell 1/48 F-4C/D Phantom II. 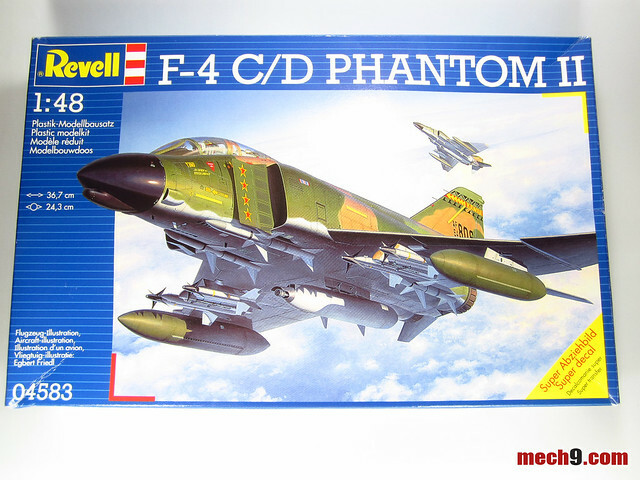 This model kit was originally released by Monogram way way back, I should know, since I built one as a kid *snicker* This model of the F-4 Phantom can be built as either a 199th TFS Hawaii ANG "C" model or a 23rd TFS/52nd TFW "D" model. Sadly I don't remember whatever happened to that kit. I don't remember if it got destroyed or if somebody threw it out, talk about gaps in my memory. The good news is that I have it with me again and I'll do my darnest to not let go of it. 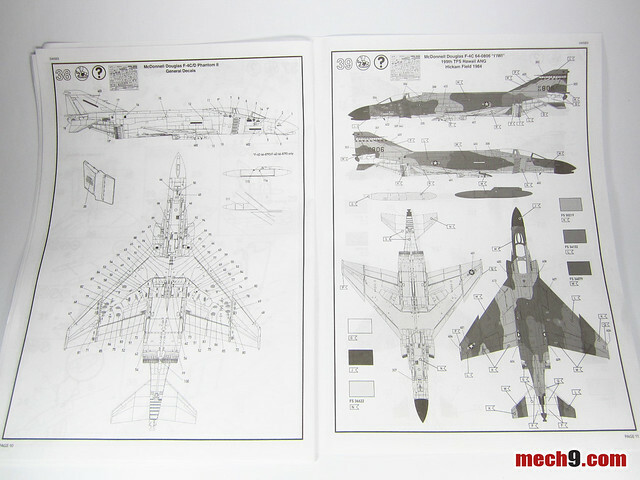 Long time readers of this blog will know that while this blog usually talks about mecha, sometimes I like to dive into stuff from my childhood past. Nostalgia is really such an addicting drug, much more potent than the collecting bug. I mean I can fight off the urge to impulse buy the latest thing so easily, but when it comes to old toys that held so much beautiful childhood memories, my resolve dissolves so quickly. The lesson I can pass on to the younger readers of this blog is to please take good care of your toys or other precious childhood tokens. Yeah, you'll hit puberty and your mind will shift its focus from the childhood things you once loved to the stuff that adults fuss about. A few years down the road, when you've settled down and a couple of gray hairs have popped up on the mop on your head (if you still have a mop). Some of you will eventually realize that whenever you have the chance to gaze upon those precious tokens from the past, they remind you of the innocence and simpler life that you now long to go back to. Anyway, back to the review, at the top is a shot of the box next to a 6 inch ruler for comparison. 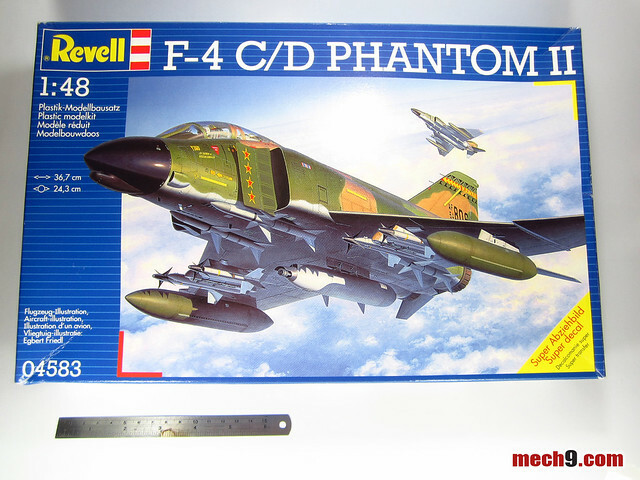 This particular model kit version of the Phantom II comes armed with 4 Sparrow missiles and 4 Sidewinders. It has an external gunpod mounted underneath at the centerline as well as two fuel storage tanks on both sides of the outer wing. 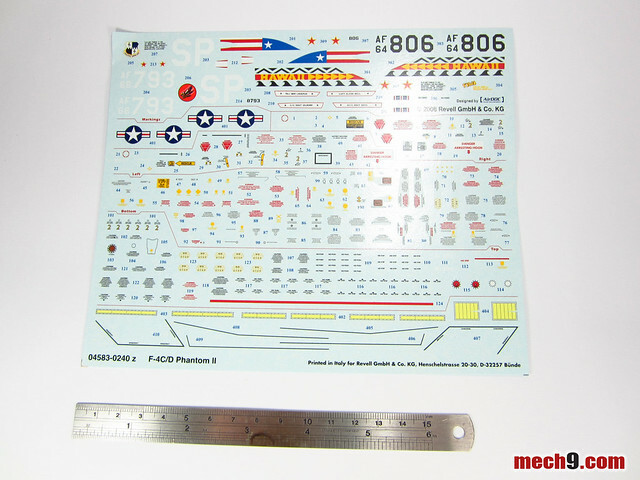 Decals that are included with the kit right next to a 6 inch ruler for comparison. Here's a shot of the 12 page manual next to a six inch ruler for comparison. 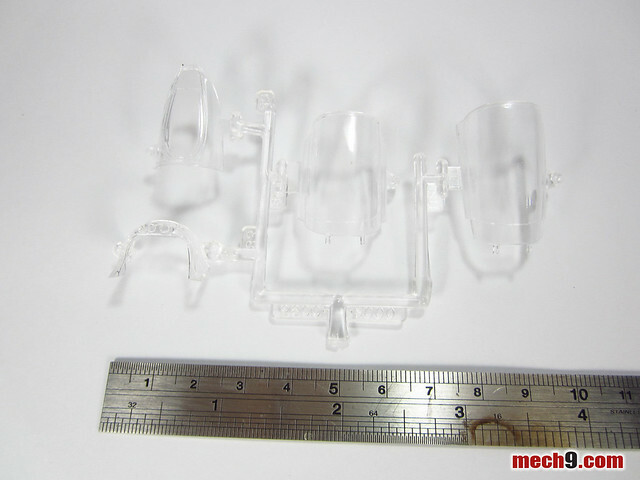 Shot of the clear parts that are used to build the cockpit canopy. 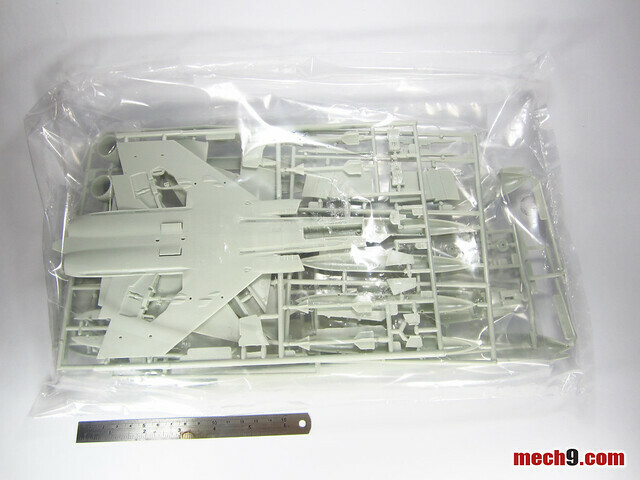 You can build this kit with the canopy open or in the closed flight position. Shot of the runner with the left side of the fuselage. 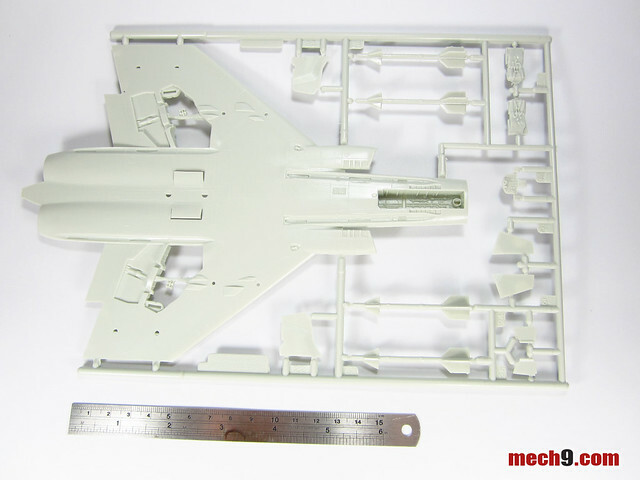 Included in this runner are the ailerons for the main wing as well as 2 Sparrow missiles that are attached to the underside of the main fuselage. There is an option to install an ECM pod or reconnaissance camera in the place of 1 sparrow missile. The aileron on the main wings are separate parts so the angle of which can therefore be adjusted. 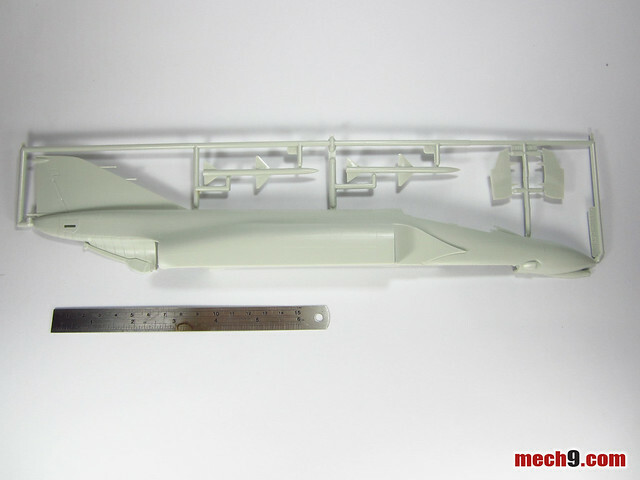 Here's the runner with the right side of the main fuselage. 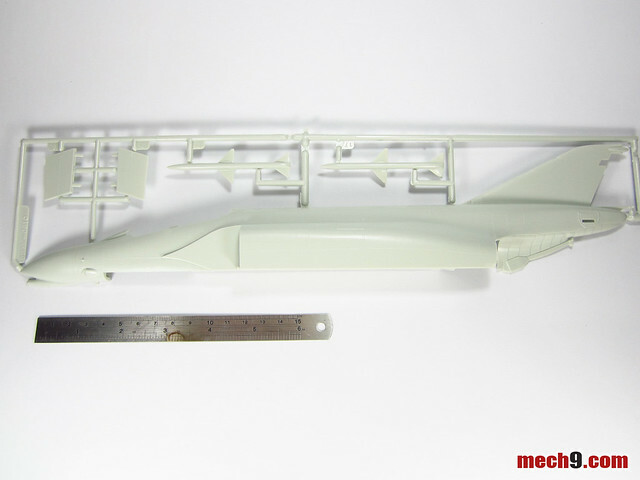 The arrestor hook is already molded on to the body of the main fuselage. Here's the runner of the upper side of the main wing as well as the two fuel drop tanks and the racks which the Sidewinder missiles will be attached to. 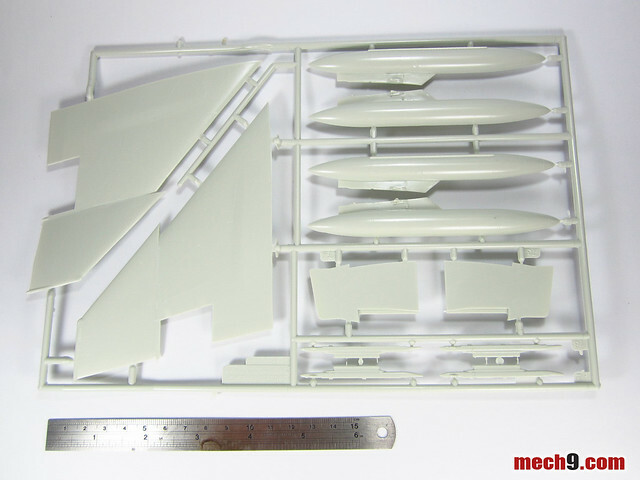 Here's the runner of the underside of the fuselage along with the underside of the wing. 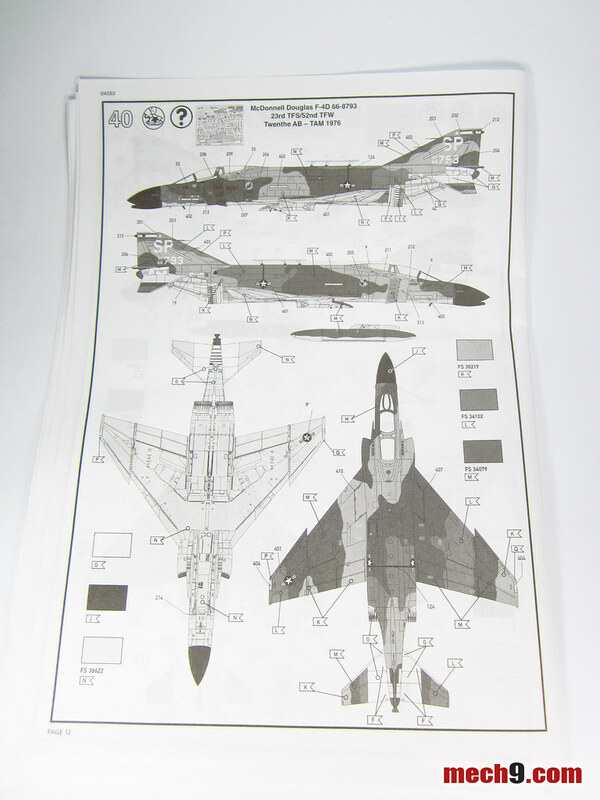 There are some Sidewinder missiles included in this runner but according to the manual, it won't be used. 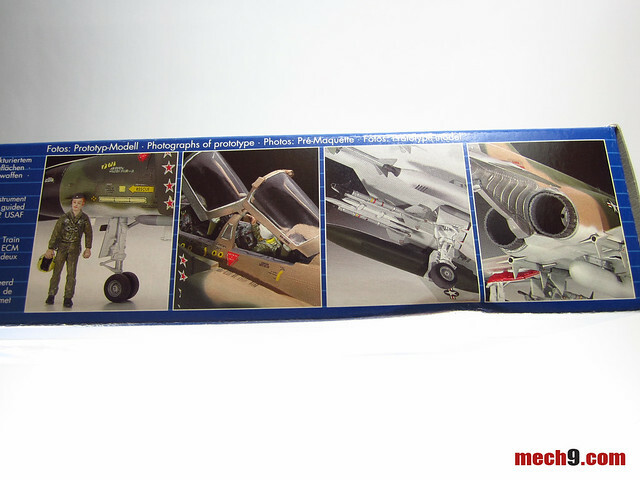 Also included in this runner are parts of the cockpit panel and the ejector seats. This runner includes the rear elevators, thruster nozzles, ECM pod, rack for the fuel drop tanks as well as the external gun pod mounted on the centerline of the fuselage. 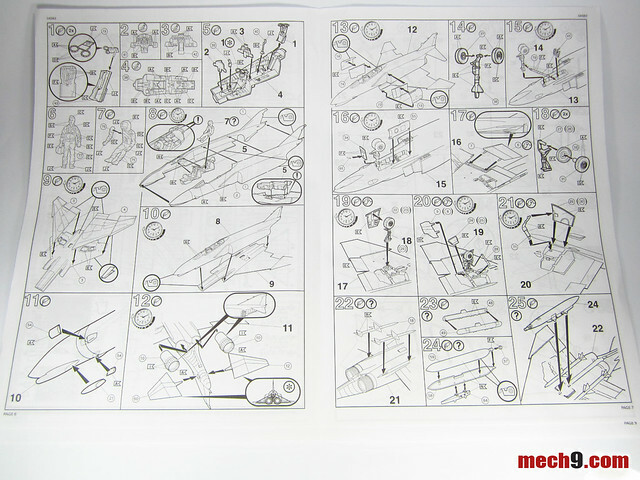 Parts included in this runner are the pilot figures, parts of the cockpit, the landing gears, air intakes and ECM pods. 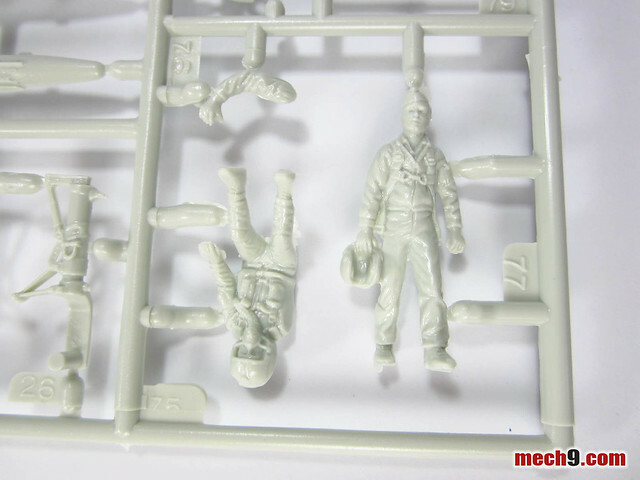 A close up of the pilot figure shows that of the two pilot figures included, one is in a standing pose. 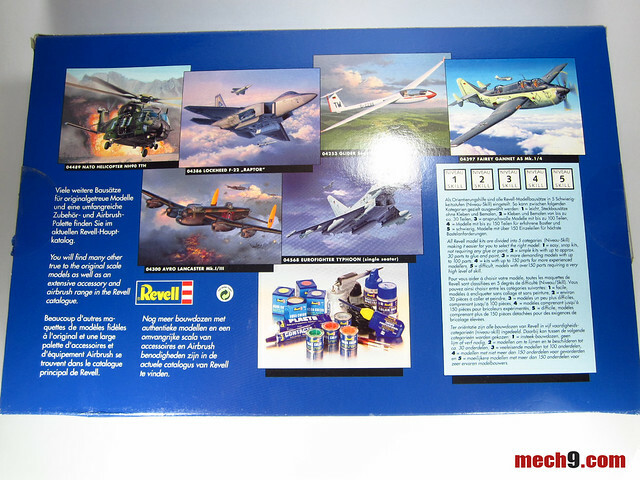 Comparing to the old Monogram issue of this fine model kit, I remember that it was molded in a shade of dark green as compared to the greyish white that this kit comes molded in. I'm really happy having this kit in my inventory right now, because it means that once again I have in my possession a precious token from my childhood past. God willing, I hope to take better care of it this time and not lose it like the last time.